Yes, I know we keep harping on about how much we love winter in Fethiye. Deserted beaches, crisp, clear mountain scenery, afternoon strolls, trekking…but sometimes, it rains…for days. In mid December, we were faced with Baltic temperatures in Fethiye and then a week later, a pretty hefty storm rolled over Fethiye and Çalış leaving us with a stark reminder of the power of nature. After working so hard, Winter then decided to take a break, go off on its holidays and treat us to continual sunny days and temperatures in the high teens. Snow that had settled on the mountain tops during the Baltic temperatures was melting at a rapid pace and we couldn’t see where the next cold spell was going to come from.And then Winter decided it was time to get back to work and, feeling fully refreshed from its holidays, it set about its tasks with a renewed vigour, as though it’s feeling guilty for being away for so long. It’s rained every day since Friday and temperatures, although not ridiculously low, have slumped to single figures. The snow is back, too. As you know, we like to see the positive side of life on this blog. All of this rain is much needed; we haven’t had nearly enough this winter. And how do we survive these rare days when Fethiye turns into a wet, grey world? Well actually, I’m feeling very pleased with myself right at this very moment. The ironing is done (the pile has been there for months) but more importantly, I’ve caught up with all my photo filing, labelling and numbering.When it comes to my photos, I’m (perhaps) overly fastidious in how I normally label them all. But, since we started Turkey’s For Life, I’ve taken more photos than ever before, they’ve been quickly uploaded and some have gone straight into a blogpost. The whole thing had started to run away from me so that every time I went into my photos on the laptop, it was driving me mad that there were just random numbers instead of titles and albums with bits and bobs in. If you’re like me and have an annoying obsession with filing anything that can be filed, you’ll sympathise with me. If you’re not one of those people, then you can no doubt think of much more interesting things to do with your time! Apart from a quick dash to the supermarket during a rain break, I haven’t budged all day and I can now sit and admire my photo folders, folders within folders, albums, individual photos and each photo is numbered and labelled. Oh, the joy. Thank you, wet winter Fethiye weather! Now I just need to upload some photos to Flickr and get geotagging! 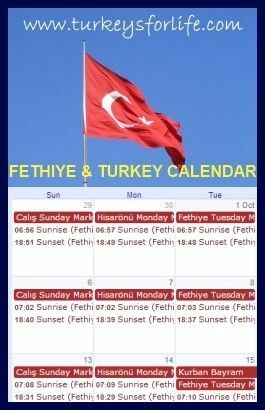 January Weather in Fethiye – Better Than Last Year! I agree, filing photos is a must; I haven’t done it yet, and it is making me waste a lot of time. Good for you. @ tasteofbeirut: It was really annoying me because all of my older photos are so organised. I feel really glad it;s done now and I know where to go when I need to pull a photo out for a blog post. Wow, that’s getting organized! Geotagging pix? Anyway, I liked this post so much, Thumbed and Reviewed, Buzzed to Yahoo and Google, Tweeted/Facebookd and Pingd to I never know where ! @ RyukyuMike: I know. Proper geeky that isn’t it!? I can’t rest till it’s done. @ Sarah: Once every blue moon, the ironing gets done and is mildly therapeutic. Re the photos: Thanks. I think our nigh-on-perfect surroundings make it easy to take a semi-decent photo. I’d love to upgrade my camera too but can’t see it appearing in the 2011 agenda.